Teams that can control and adjust to tempo are in control of the game. Roy Rana, head coach of Canada's Junior National Team, has taken the game of basketball and broken it down into several layers of transition. Each layer flows into your half court offensive system and also demonstrates how to maximize scoring opportunities in the open court. Coach Rana shows how your players can get shots up in transition from dribble penetration, drift shots, open 3-pointers and paint touches. You will learn how your team can play at various paces, while still flowing into your regular offense. Coach Rana describes three paces that most teams play at. With the majority of teams wanting to score in transition, he demonstrates how to utilize 80% of your offensive touches at a fast pace in order to score within the first four seconds of having the ball. Coach Rana also uses 5v0 drills to show scoring opportunities from the wing, dribble penetration and how/when to throw the ball ahead. For the other 20% of touches, he demonstrates the use of a mid or dead ball pace. Various transition drills are on display that require the offense to use quality passing and get a layup or open 3-pointer. In Coach Rana's Maverick drill, players are put into an offensive advantage situation where they outlet the ball above the 3-point line in order to push the ball up the floor as fast as possible. 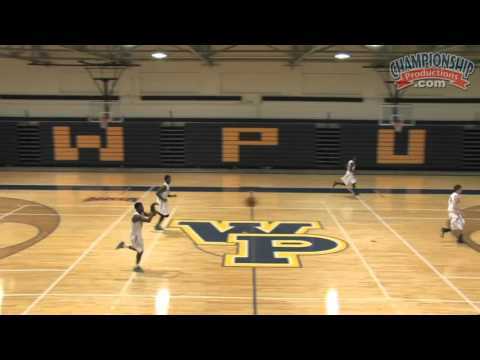 By including a half court defense, players are taught how use their speed and quickness in the half court to score off of a sprint. Coach Rana's half court offense gives players the option of getting to the rim or hitting the open 3-pointer in order to use a quick style of play. Coach Rana slows down his demonstration as he shows five transition scoring sets. By using the San Antonio Spurs' style of offense, he shows how to move the ball around the perimeter in his Trail Series. These are great scoring sets with multiple opportunities for your players to drive to the rim for an open layup off of a foot race, or a quick kick out for an open 3-pointer. Coach Rana finishes the video by talking about the international game, how the 24 second shot clock is broken down into three 8 second segments and what your team should be trying to accomplish in each segment. Coach Rana's up-tempo style of play will get your players excited and allow them to have fun on the court. Today's hottest scoring actions and opportunities from the NBA are utilized, and can be applied to any level of play.